As our lives get busier, and time becomes more scarce, anything that can make our lives easier and free up some cooking/ meal prep time and shopping time has got to be a win. At Tommy Sugo we realised our customers want the convenience of home delivery of great food with no nasties, and a super quick prep time. 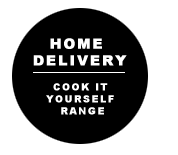 Hence our Cook it yourself range delivered to your home next week day was born. Home Delivery of our fresh frozen pasta and goodies has never been easier. If you are in Perth metro area and want our great food delivered to your door next day (M-F), click on the link to get going. Remember all our food can freeze for up to 12 months, so fill up your freezer and get your weeks worth of meals easily. How much time can you save this week / month? Here are some of the areas we deliver next day to. If your in Perth metro area and your area is not listed, feel free to fill the form in anyway and we can usually deliver to most areas in Perth metro, however there may be a different charge.